A new minor version of Ecwid (v7.1) has been released. All Ecwid users have been upgraded automatically. So what new features have been added since v7.0? The long-awaited and important feature has been added to Ecwid. Now you can ask your customers to agree with your store’s terms and conditions before they can proceed to the checkout process. 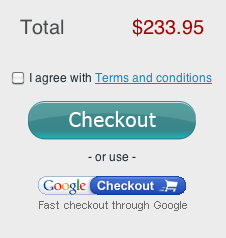 Ecwid will automatically warn the customer by highlighting the terms and conditions checkbox area when the customer mouse’s over the Checkout button. If a customer presses the Checkout button without agreeing with your terms, Ecwid will show an error in a really cool way. No more boring error popups or messages. Properly written Terms and Conditions protect your online business because if a problem arises, having terms and conditions will help resolve that problem in your favor. So we recommend all merchants to enable it. The Terms and Conditions can be enabled on the System Settings → General → Cart → Terms and Conditions page and is available for paid accounts. An awesome reason to upgrade your store and support our team. Suomen Verkkomaksut Oy: the leading e-payment method provider in Finland. Catalan, Italian, Japanese, Estonian, Norwegian and Vietnamese are built-in to the Ecwid core. So you can now enable them in one click from the Ecwid backend. Ecwid has 34 storefront translations now and counting. Impressive! Thank you to all the volunteers who’ve helped us translate Ecwid. With your help Ecwid became a truly international app: only a handful of e-commerce solutions have as many translations as Ecwid. 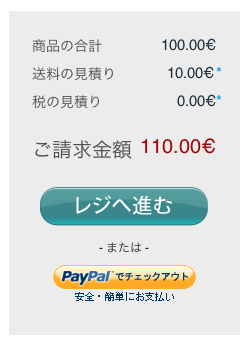 The list of the backend translations was also extended. 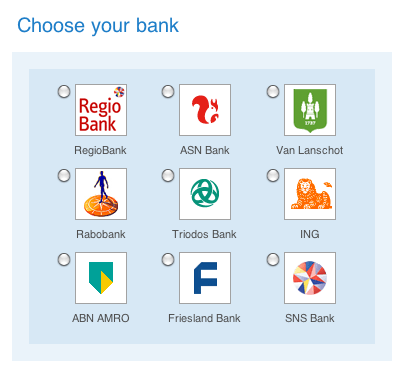 Now our control panel is also available in Hungarian and Dutch. If you’d like to add your language to our list of built-in translations, please refer to the Translations article. Periodically shipping carriers, payment gateways and other services update their API’s (a set of rules, which are used to communicate with them). When this occurs, the old API’s become outdated and don’t work correctly any longer. If you use an average shopping cart, then you need to update its API modules manually yourself or pay somebody to do this task otherwise your store will just stop working properly with these services. Imagine: a store just stops getting real-time shipping rates, so your customers would not be able to checkout. It’d be a nightmare! Geek news: we’ve moved Ecwid’s DNS to the Amazon Route 53 service, which uses a global network of DNS servers. Queries for Ecwid domains are automatically routed to the nearest DNS server and thus answered with the best possible performance. Just another way to make sure Ecwid will always be the fastest shopping cart on market. Feel free to use and enjoy these new awesome features. Our team has already working on the next major version (8.0), which will add more cool and necessary things, such as category descriptions and Facebook Like buttons. Stay tuned! P.S. Bonus: the photo of our team just a few hours before v7.1 release.